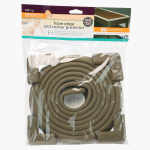 KidCo Foam Edge and 4-Piece Corner Protector Set | Brown | Helps to prevent accident from household danger. 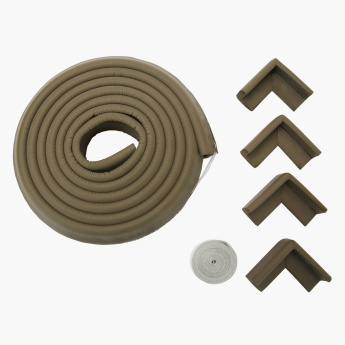 Protect your kid from painful bumps by getting this foam edge and corner protector set. Easy to use and install, this set is extremely efficient. 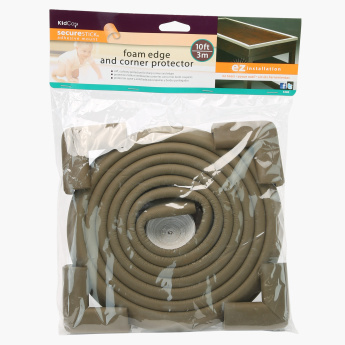 Apply the foam along the furniture and corner protectors cover the sharp edges to keep your baby from hurting himself.